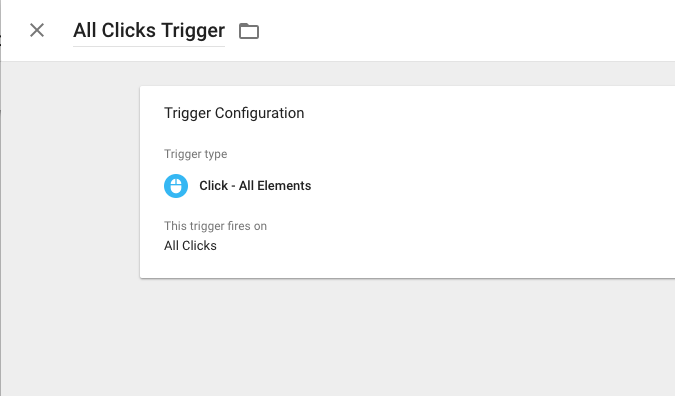 Use the GTM debug console to save you time and help find the right click classes for your triggers. A solid user behavior tag plan for your website will require you to dig into Google Tag Manager’s built-in click variables. The vast majority of websites today involve user actions that don’t trigger a new pageview hit that is sent to Google Analytics. So, if you don’t have event hits pushing these actions into GA then you can’t measure the impact of features & content on your KPIs. 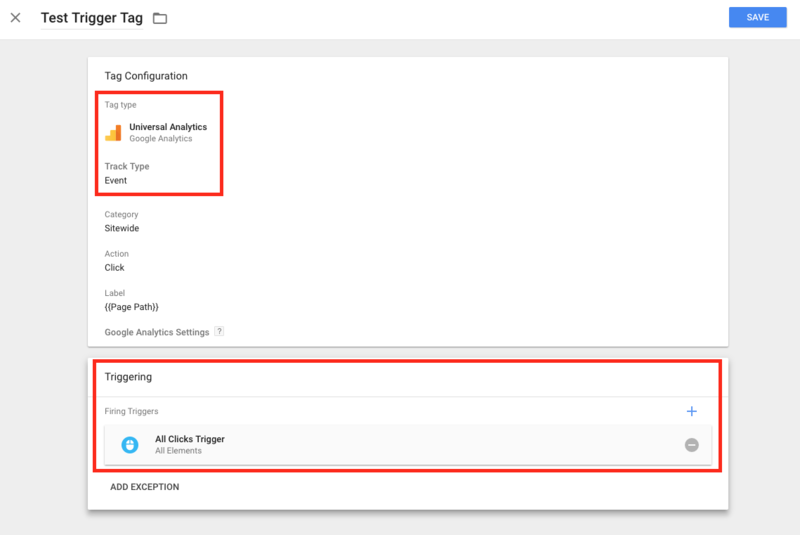 How do you find your own click classes or click elements via Google Tag Manager? I use this process all of the time to help get acclimated with a new site and begin tracking behavior events across a new site. Where btn btn-default is the value that you’ll copy from the click class variables table from step 10. 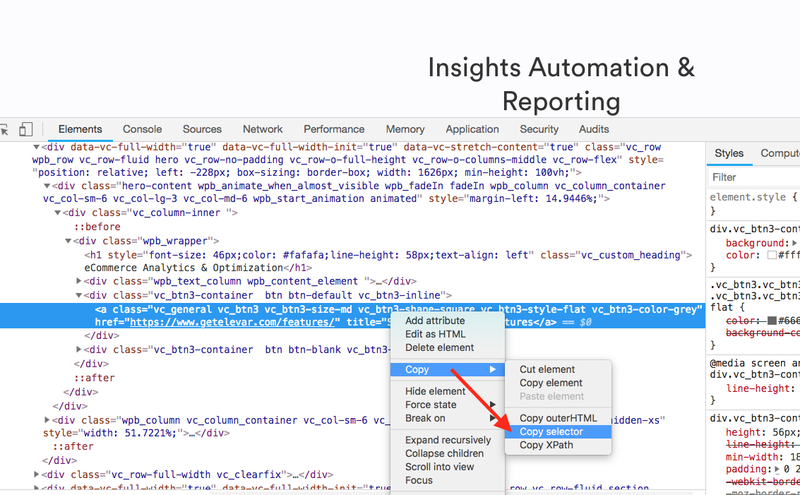 If this is the case then you can also get very granular by using Chrome dev tools to target the exact element. 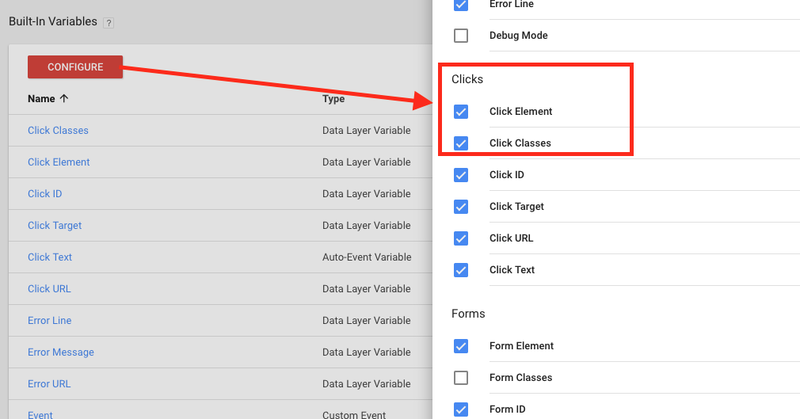 Discovering your own click classes in GTM is one of many to-do’s as part of a solid tagging plan. But, by leveraging the GTM debug console you’ll save a lot of time (and headache!) vs digging through your developer tools to find the right click classes for your trigger. You are going to encounter edge cases (too many to list here) where you might need to deviate outside of this process. One example is when you have multiple elements on a single page that have the same click class/element. If this happens then you’ll have to go up one or more layers in your DOM to target different parent elements. Simo Ahava has a great in-depth tutorial on digging into CSS selectors. If you have any other questions feel free to leave a comment below. 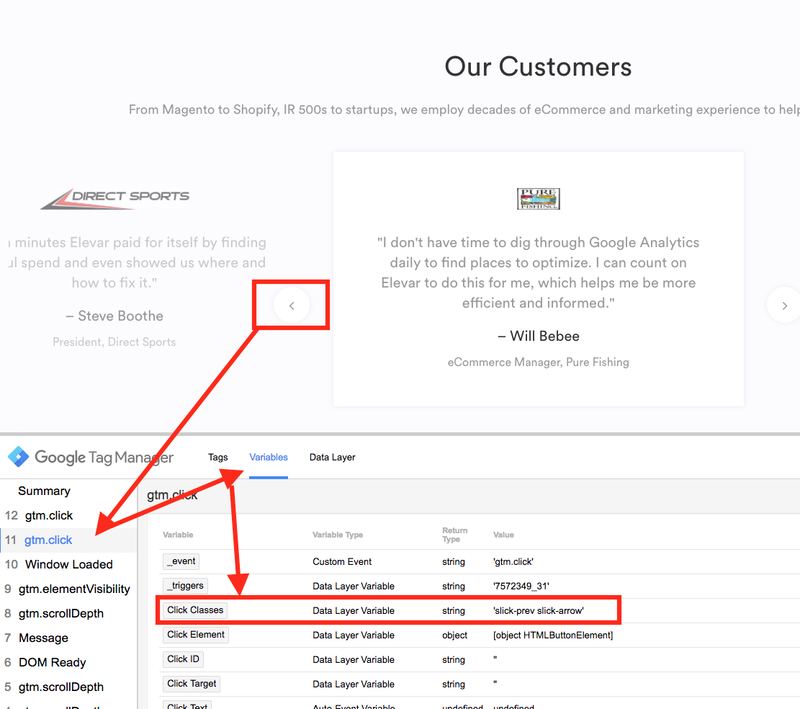 Want more helpful GTM and Analytics tips? Join our email list.